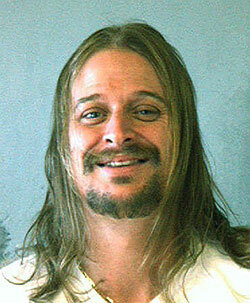 Rocker Kid Rock was arrested last night after a fight in a Waffle House restaurant in Atlanta. The scuffle comes just months after his infamous VMA brawl with Tommy Lee. Kid, 36, and five members of his entourage were busted around 5:00 a.m. after an argument with a man escalated into a fight. He’s been charged with one misdemeanor count of battery, and his alleged victim was treated and released from a local hospital. That man is facing charges from the Waffle House after allegedly breaking the restaurant’s window. Paris Hilton and Kid Rock Spotted Together in Toronto!